The sole lifeline between the villages along the international border with Bangladesh and those on the Indian side is the Dawki Bridge that sits on NH 40 bridging East Khasi Hills and West Jaintia Hills. Villagers have to undergo many hardships while passing between Dawki and Wahkdait due to the irresponsible behaviour of truck drivers and tourist vehicles of all sizes and shapes that park haphazardly and blockthe highway. The continuous heavy vehicular movement on the Dawki Bridge will one day lead to a human disaster which can be foreseen by any discerning observer. It is urged that the SDO PWD of NH 40 Division and SDO Civil of Amlarem and Pynursla take initiatives at the earliest to regulate this traffic and also to strengthen the bridge and not wait for an accident to occur which may lead to loss of precious human lives. A news video of the inauguration of the 1000-bedded multi-specialty hospital in Sikkim has gone viral. Constructed at a cost of Rs 475 crore the hospital which is another version of the All India Institute of Medical Sciences (AIIMS) Delhi will provide free treatment for dialysis and cancer. It will start functioning from February 1, 2019. Compare this initiative to what is happening in Meghalaya where the premier medical institute NEIGRIHMS is in the news everyday for the wrong reasons. From outsourcing the Paediatrics and other departments to reduction in the number of operations conducted due to want of anaesthesiologist etc. We wonder if this is the death knell for NEIGRIHMS and the present director has been sent here to finish it off. Is this some kind of mainland conspiracy by the present NDA Government which has filled all institutions with its hand-picked people? Now it is learnt that Dr Jyoti Prasad Kalita, MBBS, MS Mch with expertise in cardiothoracic and vascular surgery, has submitted his resignation due to internal problems but essentially for not seeing eye to eye with the Director. This will be a great blow to the Department of Cardiology. While in Sikkim, Chief Miniser Pawan Chamling called upn people to take ownership of the hospital and not to encroach so that the roads leading to the hospital will be bigger and more well planned. Meghalaya should have taken ownership of NEIGRIHMS and the Government should take a pro-active part in ensuring that an AIIMS like institution functions to the optimum and improves with each passing year. But the state governments of Meghalaya have done very little to check and balance the NEIGHRIMS. 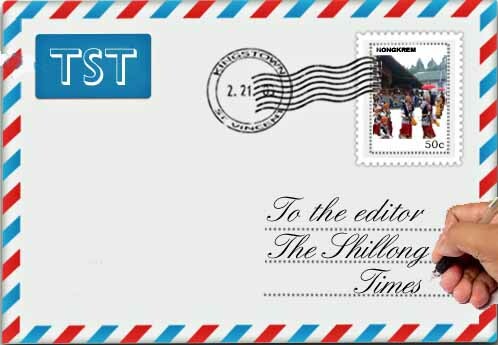 The Government of Meghalaya is allowing this Institution to degenerate to a point where a comeback would be impossible. Today we witness a systematic attempt to destroy NEIGRIHMS brick by brick. If these are the kind of people posted to head an institution in the sensitive North East then it shows that the central government is not sensitive to the special needs of the region. Could it be because this health institute is named after Indira Gandhi a Congress leader? If that is so then it is really sad and perhaps we should think of removing the name of the lady. It is not good to add the names of any political leaders to any institution. Despite the several complaints in newspapers about the poor functioning of NEIGRIHMS no action has been taken by the Centre. We in Meghalaya are the biggest losers by this slow death of NEIGRIHMS.